Wear slouchy pants to brunch with a white v-neck tee, a cool army jacket, blue suede wedges for a feminine touch and a sleek crossbody bag. 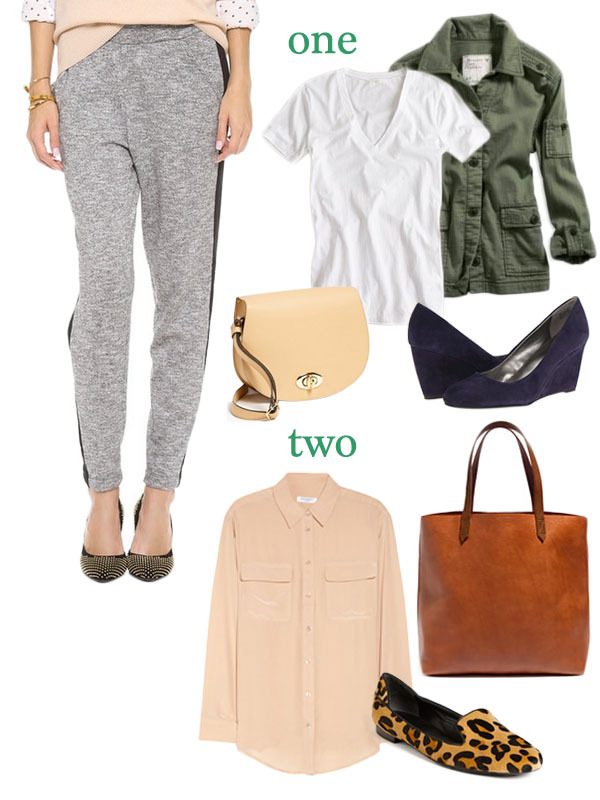 Style slouchy pants for the office with a pretty silk blouse, leopard print loafers and a classic brown leather tote. Would you try this trend? Which outfit is your favorite? **Update: Here’s how I actually wore them in real life. Very cool ideas!! I think look #1 is more my style, but I wish you could find these pants somewhere for cheaper! $75!